Thread: What would Messier do? Last edited by beedee; April 13th, 2018 at 12:00 PM. ...this may be a preview for the few (guilty) that think Doughty is leaving and what that defense would look like without number 8; so double down on the anxiety meds (read: dat dank bud) and enjoy the game. That's not quite fair. If Doughty leaves (or is more likely traded) the Kings will be looking for a mid-level defense-man or two to replace him. Plus we'd have a healthy Muzzin and Forbert also. This is not an example of the Kings defense in future years. You're right, it's not fair but more painting with a broad brush musing. My bad. Not really great at tempering my artistic flights, ideals tend to take on a life of their own. It's more of a statement of missing the person not that the position will not be filled by whomever (just not Drew). Other side of the coin: It could be the future (dun-dun-daaahhhh!!). God I hope not. 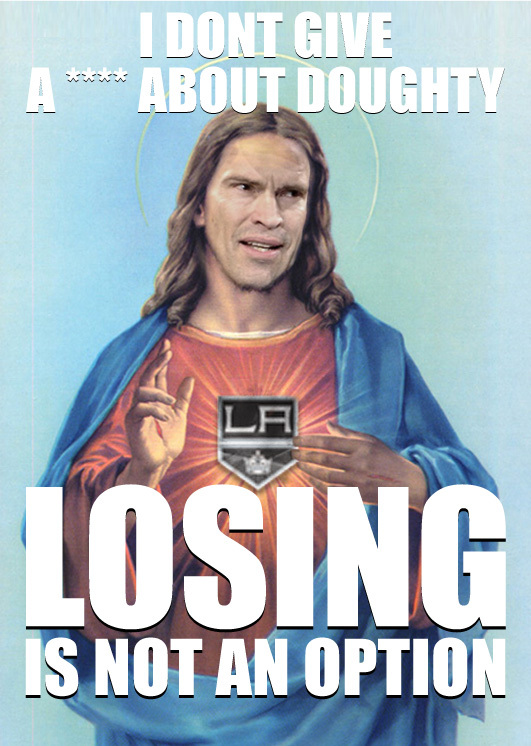 Tonight might be the worst defensive unit the Kings have deployed in 10 years. They are going to have to play far above themselves and, of course, the offense is gonna have to show up big time. Tonight's game is going to be very interesting. I believe that the team will be motivated like never before. It will (and should be) Doughty leading the locker room rah rah before the game. Lots of F-Bombs...lots of 'em. I'd like to believe in that...but... I believe we're gonna get whooped. Last edited by Helvetica; April 13th, 2018 at 06:57 PM. *laughing* that's awesome and kind of freaking me out. kudos. admitting now: not low so bear with me. H: Do you think in the 80's that's what prayer cards looked like in Edmonton?